We, the undersigned German social and environmental organisations working on forest issues, are writing to you concerning the World Bank’s imminent decision on financing a US$1.3 billion hydropower scheme in Lao PDR, which would be partly owned by Electricité de France and the Lao government. On 28 January 2005, the World Bank began appraising the proposed Nam Theun 2 hydropower project in Laos, to determine whether or not to provide a US$50 million IDA partial risk guarantee, a US$50 million MIGA debt guarantee and a US$20 million IDA credit for the project. 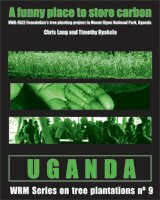 We believe that the World Bank should not finance this project. Despite the many years and millions of dollars that have been spent studying this project it remains fundamentally flawed. Even though the Nam Theun 2 developers, led by Electricité de France, have yet to secure financing, people have already been forcibly evicted from their homes, in breach of the World Bank’s guidelines, as documented in a 2004 report by the Bank-sponsored Panel of Experts. Approximately 450 square kilometres has been clearcut to make way for the dam’s reservoir. Also, allegations of project related corruption have not been satisfactorily addressed or investigated by the World Bank. The proposed project will require the forced eviction of 6,200 indigenous people from the Nakai Plateau and destroy the fisheries and livelihoods of more than 100,000 people living on the Xe Bang Fai. The Indigenous Peoples living on the Nakai Plateau have seen their forests clearcut and their livelihoods destroyed, many years before the dam developers made any attempt at “consultation”. By no means did they give their free prior informed consent to the project, as would be required by the guidelines established by the World Bank-sponsored World Commission on Dams. The proposed Nam Theun 2 project is therefore in breach of the recommendations of the World Commission on Dams. In the light of this, the questions below should be answered during the World Bank’s appraisal of the proposed Nam Theun 2 project. 1-1. Will BMZ, GTZ, KfW or any other institution in Germany produce an assessment of whether the proposed Nam Theun 2 dam complies with World Bank guidelines, before advising the German Executive Director whether to vote in favour of or against World Bank support for the project? 1-2. Please provide us with a list of all documentation produced so far by BMZ, GTZ, KfW or any other German institution relating to the proposed Nam Theun 2 project. 1-3. What analysis has BMZ, GTZ, KfW or any other German institution carried out in order to determine whether the Nam Theun 2 project complies with the World Commission on Dams? Please provide us with copies of all reports produced so far. 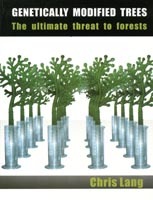 The Panel of Experts on the proposed Nam Theun 2 project, which was set up at the recommendation of the World Bank, is supposed to “assess the extent to which planning for the NT2 project meets relevant World Bank safety net guidelines including those for environment, indigenous people, and resettlement with development.” (PoE 7th report, 2 March 2004). Yet the Panel of Experts has not produced any detailed assessment of whether the project complies with World Bank guidelines. In fact, in its reports the Panel of Experts describes several breaches of World Bank guidelines. For example, in 1997, the Panel of Experts had recommended that “resettlement of Vietic foragers should be stopped”. However, in its most recent report (March 2004), the Panel of Experts refers to the eviction of Vietic-speaking peoples from their homes in 2000 and 2001. Clearly, the resettlement of Vietic speaking people is in breach of World Bank guidelines on indigenous peoples. The Panel of Experts states in its 2004 report that in 2001 ten families of Vietic speaking peoples were moved into a village called Ban Nathon. Several Vietic households had died in Ban Nathon after being moved there in the mid-1970s. 2-1. In a meeting with Regine Richter (urgewald), Ann Kathrin Schneider (IRN) and Chris Lang (World Rainforest Movement) in BMZ’s offices in Berlin on 9 February 2005, Anne Schuster of GTZ promised to investigate the current situation of the Vietic speaking peoples. Please provide us with a copy of Ms Schuster’s report on the Vietic speaking peoples. 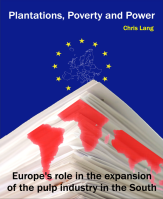 In 2001, Chris Lang, Heffa Schucking (urgewald) and Miriam Walther (WEED) wrote to Helmut Schaffer, the then-Executive Director for Germany at the World Bank. Among the questions asked was the following, relating to the Lao military-run logging company Bholisat Phattana Khed Phou Doi (BPKP – the Mountain Region Development Company): “How much money has BPKP so far earned from logging the 450 square kilometre reservoir area, and what has it done with this money?” Helmut Schaffer did not answer this question. Neither did Bank staff after Herr Schaffer asked them to deal with the questions. The World Bank argues that money from the hydropower project will be used to reduce poverty and save wildlife. Yet no one in seems able to account for Lao government revenue earned from logging the project area. BPKP’s logging operations were in breach of World Bank guidelines. BPKP logged the reservoir area and several areas of forest around the reservoir, including the community forest which is supposed to provide a livelihood for people evicted to make way for the dam’s reservoir. In 2002, the Lao Finance Ministry took over BPKP from the army. The following year, the Vientiane Times reported that BPKP “crashed” after its concessions were revoked. 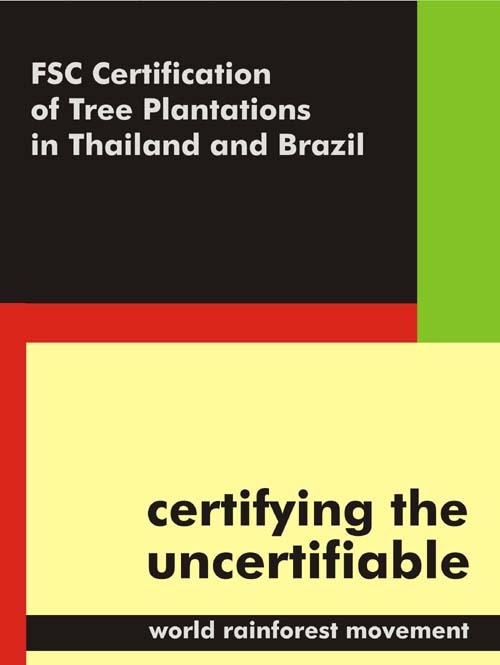 The logging that BPKP carried out was project related, yet neither the project developers, the Lao government nor the World Bank have commissioned an independent audit of BPKP, to find out where the money went. 3-1. How did BPKP win the commission to log the 450 square kilometre reservoir area? Was it the result of a competitive tender? 3-2. When did BPKP start the logging operations? 3-3. 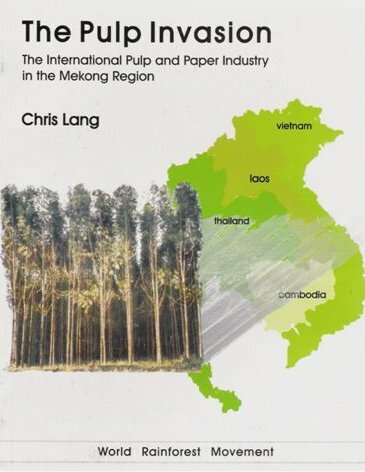 In 1996, forestry consultants Margules, Groome Pöyry produced a Forestry Sector report on Nam Theun 2. Among the consultants activities was demarcating the reservoir area. Why was the reservoir demarcated only several years after logging had started? 3-4. The unanswered question remains: How much money has BPKP so far earned from logging the 450 square kilometre reservoir area, and what has it done with this money? 3-5. Will BMZ insist on a detailed, independent and publicly available audit of BPKP’s logging operations in the Nam Theun 2 reservoir area, before advising the German executive director whether to support this project or not? 3-6. 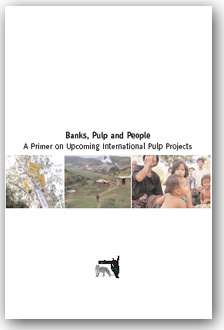 Have the World Bank and the Lao Government conducted any joint monitoring missions, as recommended in the 2000 Aide Memoire? If so, how many missions have been made? Are the reports produced available to the public? 4-1. Please provide details of exactly what the World Bank Group is considering funding on the proposed Nam Theun 2 project. Please also provide details of exactly what the World Bank Group’s involvement in the proposed Nam Theun 2 project has been to date. 4-2. Part of the World Bank’s possible support for the proposed Nam Theun 2 dam is a partial risk guarantee. The existing Theun Hinboun dam, downstream of the proposed Nam Theun 2 dam site relies on water in the Theun River to generate electricity. The proposed Nam Theun 2 hydroelectric dam would generate electricity by diverting water from the Theun River into the Xe Bang Fai. If the Nam Theun 2 dam is constructed, it will reduce the generating capacity of the Theun Hinboun dam. The operation of the Nam Theun 2 dam will determine how much water flows into the reservoir behind the Theun Hinboun dam. How will such potential conflicts be reflected in the Bank’s guarantee mechanism? Could the guarantee be called if water is released from the Nam Theun 2 dam to ensure that the Theun Hinboun continues operation? Would such operational decisions be made with the free prior informed consent of all the affected people on the Theun River, the Nam Kading River, the Hinboun River, the Mekong River and the Xe Bang Fai River? 4-3. The World Bank and other hydropower proponents have repeatedly stated that hydropower is crucial to economic growth in Laos. For example, in February, Homi Kharas, the World Bank’s chief economist for East Asia told the Financial Times that “Only projects like this offer any possibility for development in the country.” Yet the World Bank has not produced any studies looking at alternatives to hydropower as possible development options for Laos. Can BMZ point to a single report describing in detail alternative development options to hydropower in Laos? Independent experts commissioned by International Rivers Network and Environmental Defense have raised additional questions based on technical reviews of project documents. Please visit IRN’s web-site for further information. We are not suggesting that the project developers or the World Bank should produce more studies relating to the dam. In more than a decade of project preparation, the World Bank has failed to address these questions. The World Bank should reject this project. We look forward to your urgent attention to these questions. Link to State Secretary Stather’s reply (13 April 2005). wir, die unterzeichnenden, zum Thema Wald arbeitenden, deutschen Umwelt- und Menschenrechtsorganisationen, schreiben Ihnen bezüglich einer unmittelbar bevorstehenden Entscheidung der Weltbank. Die Weltbank plant, eine US$1,3 Milliarden teure Wasserkraftanlage in der Volksrepublik Laos zu finanzieren, die teils der Firma Electricité de France und teils der laotischen Regierung gehören würde. Am 28. Januar 2005 begann die Weltbank, das vorgeschlagene Nam Theun 2 Staudammprojekt in Laos zu prüfen. Es soll festgestellt werden, ob sie eine IDA Teilrisikogarantie von US$50 Millionen, eine MIGA Schuldengarantie von US$50 Millionen, und einen IDA Kredit von US$20 Millionen für das Projekt geben wird. Wir sind der Meinung, dass die Weltbank dieses Projekt nicht finanzieren sollte. Trotz der vielen Jahre und Millionen von Dollar, die verwendet wurden, um das Projekt zu untersuchen, bleibt es im Wesentlichen fehlerhaft. Obwohl das Nam Theun 2 Konsortium (NTPC), angeführt von Electricité de France, noch die Finanzierung sichern muss, wurden bereits Menschen aus ihren Häusern zwangsumgesiedelt. Dies verstößt gegen die Richtlinien der Weltbank, wie in einem 2004 veröffentlichten Bericht eines von der Bank finanzierten Panel of Experts dokumentiert. Ungefähr 450 km² Waldfläche wurden kahlgeschlagen, um für den Stausee Platz zu machen. Behauptungen von Korruption im Zusammenhang mit dem Projekt wurden von der Weltbank nicht genügend behandelt oder untersucht. Das vorgeschlagene Projekt erfordert die Zwangsräumung von 6.200 Indigenen vom Nakai Plateau und wird die Fischgründe und den Lebensunterhalt von mehr als 100.000 Menschen, die am Ufer des Xe Bang Fai leben, zerstören. Jahre bevor das Konsortium zum Bau des Staudamms irgendeinen Versuch der Konsultation unternommen hat, haben die indigenen Völker, die auf dem Nakai Plateau leben, zugesehen wie ihre Wälder kahlgeschlagen wurden und ihr Lebensunterhalt zerstört wurde. Sie haben in keinster Weise ihre Zustimmung (free prior informed consent) zu dem Projekt gegeben wie es die Richtlinien der World Commission on Dams (WCD) erfordern. Das vorgeschlagene Nam Theun 2 Projekt verstößt deshalb gegen die Empfehlungen der World Commission on Dams. In diesem Licht sollten die unten angegebenen Fragen während der Prüfung des vorgeschlagenen Nam Theun 2 Projekts durch die Weltbank beantwortet werden. 1-1. Wird das BMZ, die GTZ, die KfW oder irgend eine andere deutsche Durchführungsorganisation eine Beurteilung erarbeiten, ob der vorgeschlagene Nam Theun 2 Staudamm mit den Richtlinien der Weltbank übereinstimmt, bevor der deutsche Exekutivdirektor angewiesen wird, zugunsten einer Unterstützung des Projekts durch die Weltbank zu stimmen oder dagegen? 1-2. Bitte schicken Sie uns eine Liste aller Berichte mit Bezug auf das vorgeschlagene Nam Theun 2 Projekt, die bisher von BMZ, GTZ, KfW oder irgendeiner anderen deutschen Durchführungsorganisation erstellt worden sind. 1-3. Welche Analysen haben BMZ, GTZ, KfW oder andere deutsche Durchführungsorganisationen durchgeführt, um festzustellen ob das Nam Theun 2 Projekt mit den Empfehlungen der WCD übereinstimmt? Bitte schicken Sie uns Kopien aller Bewertungen, die bisher erstellt wurden. Das Panel of Experts zum vorgeschlagenen Nam Theun 2 Projekt, das auf Empfehlung der Weltbank eingerichtet wurde, soll „beurteilen in welchem Ausmaß die Planung für das NT2 Projekt relevante ‚safeguard’ Richtlinien der Weltbank einhält einschließlich solcher für Umwelt, Indigene Bevölkerung und Umsiedlung mit Entwicklung“. Das Panel of Experts hat jedoch keine detaillierte Beurteilung vorgelegt, ob das Projekt mit den Richtlinien der Weltbank übereinstimmt. Tatsächlich beschreibt das Panel of Experts jedoch in seinen Berichten mehrere Verstöße gegen die Richtlinien der Weltbank. Zum Beispiel hatte das Panel of Experts 1997 empfohlen, dass „die Umsiedlung von vietischen Sammlern („foragers“) gestoppt werden soll.“ Nichtsdestotrotz nimmt das Panel of Experts in seinem aktuellsten Bericht (März 2004) Bezug auf die Räumung der Häuser der vietisch sprechenden Bevölkerungsgruppen in den Jahren 2000 und 2001. Es ist ganz offensichtlich, dass die Umsiedlung der vietisch sprechenden Menschen gegen die Richtlinien der Weltbank über indigene Völker verstößt. Das Panel of Experts stellt in seinem Bericht von 2004 fest, dass im Jahr 2001 zehn Familien der vietisch sprechenden Bevölkerung in ein Dorf namens Ban Nathon umgesiedelt wurden. Die Gesamtheit der Mitglieder mehrerer vietischer Haushalte waren in Ban Nathon gestorben, nachdem sie in der Mitte der siebziger Jahre dorthin umgesiedelt worden waren. 2-1. In einem Treffen mit Regine Richter (urgewald), Ann Kathrin Schneider (International Rivers Network) und Chris Lang (World Rainforest Movement) im Büro des BMZ in Berlin am 9. Februar 2005 versprach Anne Schuster von der GTZ, die aktuelle Situation der vietisch sprechenden Bevölkerungsgruppen zu untersuchen. Bitte schicken Sie uns eine Kopie von Frau Schusters Bericht über die vietisch sprechenden Völker. Im Jahr 2001 schrieben Chris Lang, Heffa Schücking (urgewald) und Miriam Walther (WEED) an Helmut Schaffer, den damaligen Exekutivdirektor für Deutschland bei der Weltbank. Sie stellten unter anderem folgende Frage, die sich auf die vom laotischen Militär betriebene Holzeinschlagsfirma Bholisat Phattana Khed Phoudoi (BPKP – Firma für die Entwicklung der Bergregion) bezieht: „Wie viel Geld hat BPKP bisher am Einschlag des 450km² großen zukünftigen Stauseegebiets verdient, und was hat sie mit dem Geld gemacht?“ Helmut Schaffer hat diese Frage nicht beantwortet. Noch haben Bankangestellte dies getan, nachdem Herr Schaffer sie gebeten hatte, diese Fragen zu behandeln. Die Weltbank argumentiert, dass die laotische Regierung die Einkünfte aus dem Wasserkraftprojekt für Armutsminderung und Naturschutz benutzt werden wird. Jedoch scheint niemand in der Lage zu sein, über Einnahmen der laotischen Regierung aus dem Einschlag des Projektgebietes Rechenschaft ablegen zu können. BPKPs Einschlagsbetrieb verstieß gegen die Richtlinien der Weltbank. BPKP schlug im Gebiet des Stausees Holz ein sowie in mehreren Waldgebieten um den Stausee herum, einschließlich eines Gemeindewaldes, der Menschen, die für den Stausee zur Räumung gezwungen worden waren, einen Lebensunterhalt bieten sollte. Im Jahr 2002 übernahm das laotische Finanzministerium die Firma BPKP von der Armee. Im darauf folgenden Jahr berichtete Vientiane Times, dass die BPKP „zusammengebrochen“ sei, nachdem ihre Konzessionen wiederrufen worden waren. Der Holzeinschlag, den die BPKP durchgeführt hat, war projektbezogen, jedoch haben weder das Konsortium für das Projekt noch die laotische Regierung noch die Weltbank eine unabhängige Buchprüfung der BPKP in Auftrag gegeben, um herauszufinden wo das Geld geblieben ist. 3-1. Wie hat die BPKP den Auftrag bekommen, das 450 km² große Stauseegebiet einzuschlagen? War es das Ergebnis einer Ausschreibung? 3-2. Wann begann die BPKP mit dem Holzeinschlag? 3-3. Im Jahr 1996 erstellte die Forstconsultingfirma Margules Groome Poyry einen Forstsektorbericht zu Nam Theun 2. Teil der Aktivitäten der Konsultants war die Demarkation des Stauseegebiets. Warum wurde der Stausee erst mehrere Jahre, nachdem der Holzeinschlag begonnen hatte, demarkiert? 3-4. Es bleibt die unbeantwortete Frage: Wieviel Geld hat die BPKP bisher am Einschlag des 450 km² großen Stauseegebiets verdient und was hat sie mit dem Geld gemacht? 3-5. Wird das BMZ auf einem detaillierten, unabhängigen und öffentlich verfügbaren Audit von BPKPs Holzeinschlagsunternehmungen im Nam Theun 2 Stauseegebiet bestehen, bevor es den deutschen Exekutivdirektor anweist, ob er dieses Projekt unterstützten wird oder nicht? 3-6. Haben die Weltbank und die laotische Regierung gemeinsame Monitoring Missionen, wie im Aide Memoire von 2000 empfohlen durchgeführt? Wenn ja, wie viele Missionen wurden unternommen? Sind die erstellten Berichte öffentlich verfügbar? 4-1. Bitte geben Sie uns Einzelheiten davon, was genau die Weltbank Gruppe in Betracht zieht, am vorgeschlagenen Nam Theun 2 Projekt zu finanzieren. Bitte sagen Sie uns auch im Einzelnen, worin genau die Beteiligung der Weltbank im vorgeschlagenen Nam Theun 2 Projekt bisher bestand. 4-2. Ein Teil der möglichen Unterstützung der Weltbank für den vorgeschlagenen Nam Theun 2 Staudamm ist eine Garantie. Der bestehende Theun Hinboun Staudamm, der flussabwärts vom vorgeschlagenen Nam Theun 2 Staudamm liegt, hängt vom Wasser im Theun Fluss ab, um Strom zu erzeugen. Der vorgeschlagene Nam Theun 2 Staudamm würde Strom erzeugen, indem Wasser vom Theun in den Xe Bang Fai umgeleitet wird. Wenn der Nam Theun 2 Staudamm gebaut wird, wird er die Kapazität für die Stromerzeugung des Theun Hinboun Damms reduzieren. Der Betrieb des Nam Theun 2 Damms wird bestimmen, wieviel Wasser in den Stausee hinter dem Theun Hinboun Damm fließen wird. Wie würden sich solche potenziellen Konflikte im Mechanismus der Garantie der Bank widerspiegeln? Könnte die Garantie geltend gemacht werden, wenn Wasser aus dem Nam Theun 2 Staudamm ausgelassen wird, um sicherzustellen dass Theun Hinboun den Betrieb fortsetzt? Würden solche betrieblichen Entscheidungen mit der freien, zuvor informierten Zustimmung („free prior informed consent“) aller Betroffenen am Theun Hinboun, am Nam Kading, am Hinboun, am Mekong und am Xe Bang Fai gemacht? 4-3. Die Weltbank und andere Befürworter von Wasserkraft haben wiederholt gesagt, dass Wasserkraft für das wirtschaftliche Wachstum in Laos entscheidend ist. Zum Beispiel sagte Homi Kharas der Chef Wirtschaftsexperte der Weltbank für Ostasien der Financial Times in Februar, dass „Nur Projekte wie dieses kann eine Möglichkeit für Entwicklung in dem Land bieten.“ Die Weltbank hat jedoch keine Studien erstellt, die Alternativen zur Wasserkraft als mögliche Entwicklungsoptionen für Laos betrachtet hätten. Kann das BMZ einen einzigen Bericht aufzeigen, der alternative Entwicklungsoptionen für Laos beschriebt? Unabhängige Experten haben im Auftrag des International Rivers Network und Environmental Defense zusätzliche Fragen erhoben, die sich auf der technischen Durchsicht von Projektdokumenten gründen. Bitte sehen Sie sich IRNs web site für weitere Informationen an. Wir schlagen nicht vor, dass das Projektkonsortium oder die Weltbank mehr Studien in Bezug auf den Staudamm erstellen sollten. Während einer Projektvorbereitungszeit von über einem Jahrzehnt ist es der Weltbank nicht gelungen, diese Fragen zu behandeln. Die Weltbank sollte das Projekt ablehnen. Über eine baldige Befassung mit diesen Fragen würden wir uns freuen. Staatssecretär Stathers Antwort (13. April 2005).